The cheese & pepperoni pizza at Franco's is good. I would say it's one of my favorites in the area. The sauce has a nicely seasoned and slightly acidic flavor, and you get a decent amount of it. 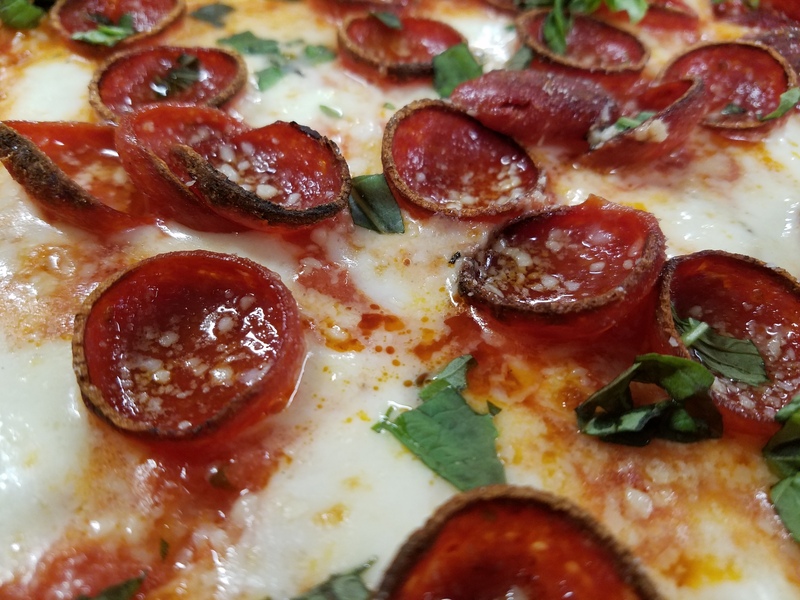 The pepperoni is slightly burnt, giving that little added flavor. 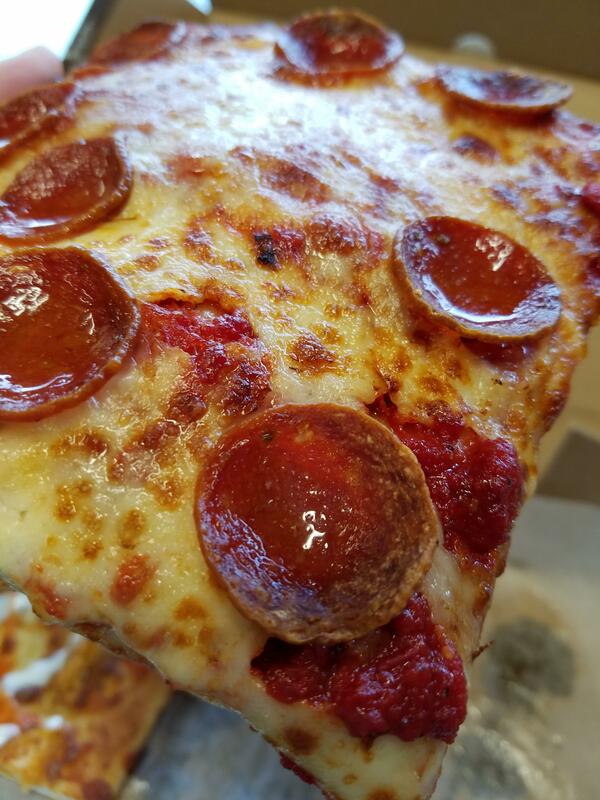 The only complaint that I might have would be that I could have used a little more cheese on the slice; it covered it, but only in a think layer. 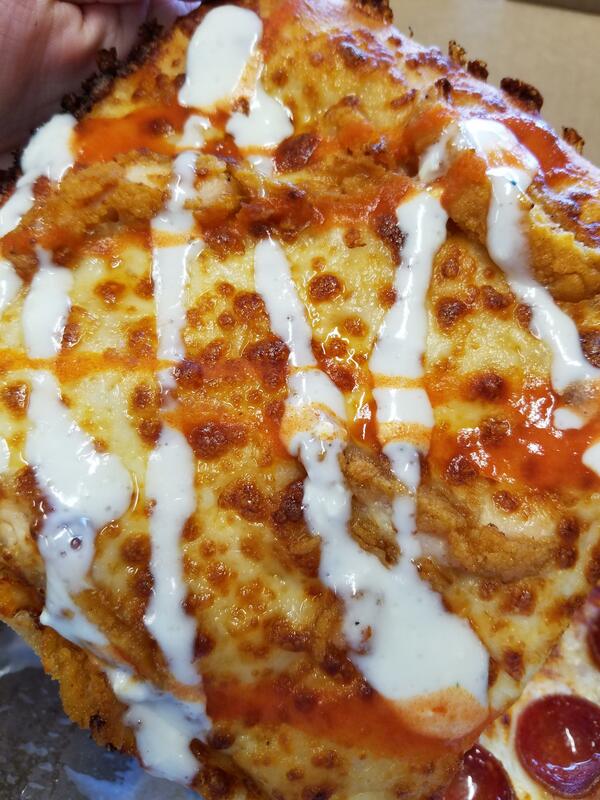 This is not one of my favorite chicken finger pizzas, but it is sort of unique. There seems to be no sauce under the cheese whatsoever, instead Franco's takes a bit of a Detroit style turn and puts sauce on top; blue cheese and hot sauce that is. Normally they load it up with both sauces, which tends to make a mess, so I ordered a light amount. There is an OK amount of chicken fingers and there seems to be more cheese on this slice compared to the cheese and pepperoni slice that I got with it. 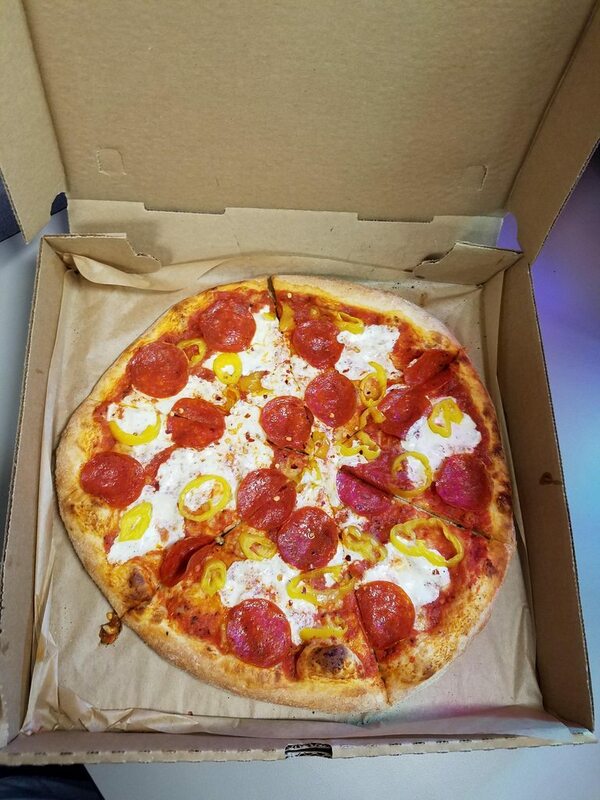 This pizza was made fresh, right in front of me. I was given a choice between a oval shaped "PI" or a round 12" pizza; I chose the latter. I chose the sauce and toppings, then they threw it onto a rotating slab in a large 750° pizza oven. About 6 minutes later it was done.